A new report by mycarcheck.com has revealed the top five most popular car colours in the UK when it comes to buying or selling a used car. They’re results also revealed that two-tone cars are more likely to be stolen. Red was once a sure-fire certainty to feature in the top colour choices, for its bright and striking colour, but it now seems to be a definite no-no along with green, gold and brown, and the more garish shades like yellow, purple and fluorescent orange. We can agree with some of the colour choices, but who doesn’t love a gold car?! The top five mycarcheck.com choices in reverse order are: in fifth place – Grey, in fourth – White. Taking third spot is Blue with, somewhat ironically, Silver in the runner-up spot. The winner is Black. 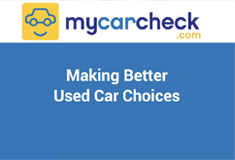 Mycarcheck.com holds comprehensive data on every vehicle on UK roads with information coming from the police, DVLA, insurers and finance houses, so they know what they’re talking about when it comes to vehicle colours. Gavin Amos, head of valuation services at mycarcheck.com, said: “The top five colours were all about average in terms of write-off, finance and stolen risks, but two-tone cars were significantly more likely to be stolen.” The main reason seems to be that sporty models, which tend to have two-tone colour schemes are more targeted by thieves. It was Henry Ford who once reportedly said "You can have any colour you want, so long as it's black." Of course, times have changed since the first Model T motor car rolled off the production line back in the day. But, it seems that old Henry’s attitude is still very much apparent in the 21st century, but who knows what the future has in hold for car colours, opinions do change all the time.